Finding gold at the end of a rainbow can be easy as 1, 3, 5! In this worksheet, kids colour in odd numbers to create a path for the leprechaun to be reunited with his lucky gold. These odd and even numbers are all mixed up! 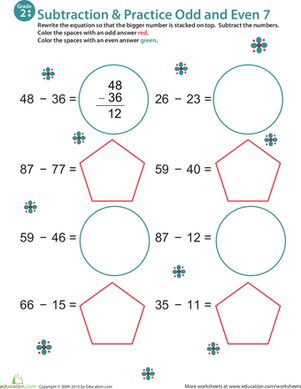 Kids decide which numbers are odd and which are even, and then colour the circles accordingly. 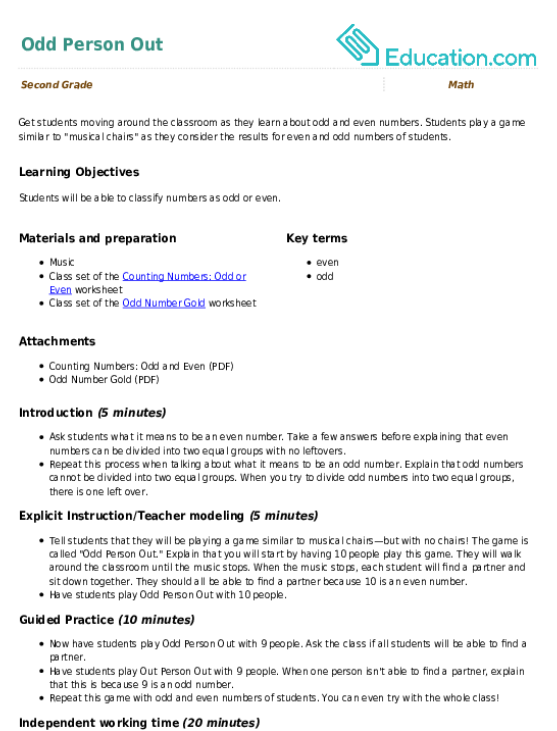 In this year 2 maths worksheet, your child will practise identifying 1-3 digit odd and even numbers by classifying each number as odd or even. Now, that's odd! See if your 1st grader can identify the odd numbers in this worksheet. 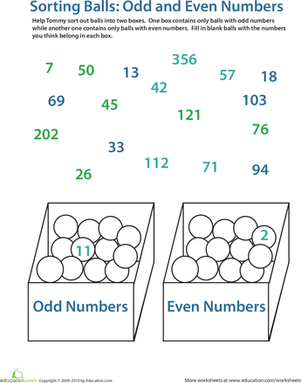 Kids review odd and even numbers by circling them, then counting up how many they find. 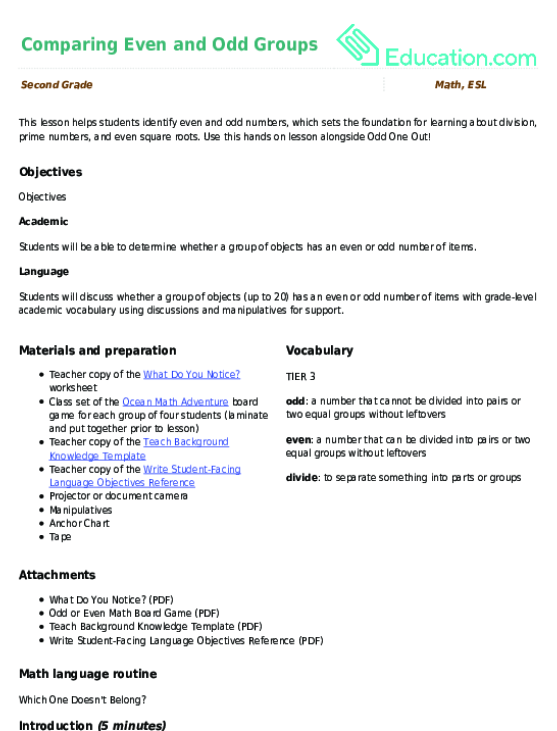 In this year 2 maths worksheet, your child will practise identifying odd and even numbers by grouping objects into odd or even-numbered groups. 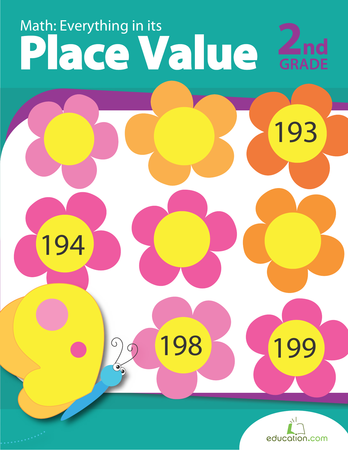 Ask your second grader to practise double-digit subtraction and encourage practise with odd and even number identification with this colorful worksheet! What are odd and even numbers? 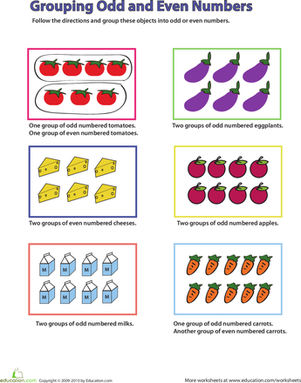 This simple worksheet makes an example of numbers your child already knows to help her easily identify the odd and even ones.